The cattle seen in cave paintings could be coming back to life. Advances in the study of genetics have made us capable of actually bringing extinct species back to life. Of course, the child in all of us automatically jumps to the idea of bringing back dinosaurs (and putting them in a theme park while we’re at it). But why not bring back animals that could be more useful, say, in creating ecological stability? This is the idea behind two programs under the Rewilding Europe project, which seek to bring back an extinct cattle species called aurochs. These cattle — which stand 2.13 m (7 ft) tall, and weigh around 1,000-kg — once inhabited the wilds of Europe and Asia, but the last auroch died in 1627. “Wild cattle are one of the species that shaped the European landscape over hundreds of thousands of years,” Rewilding Europe founder Wouter Helmer told The Telegraph. The two programs — the Tauros Project and Operation Tauros — are using a method called back breeding to revive the aurochs. 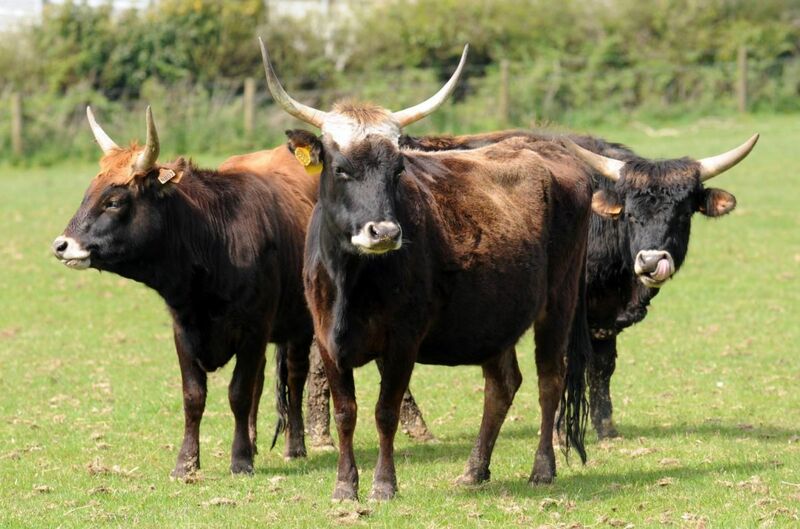 The breeding technique allows for more auroch-like characteristics in identified cattle breeds to show in every generation. With the Tauros Project, the back breeding actually started in 2008. Each generation that comes from the breeding line comes closer and closer to the original auroch appearance. What you see already in the second generation is that the coloration of the animal is very aurochs-like. The bulls are black and have an eel stripe [along the spine]. They’re already higher on the legs. What’s more complicated is the size and shape of the horns. I would say that in some cases you can see an individual animal is 75 percent of where we need to get at. Back breeding is a gene editing technique that isn’t invasive, so to speak. It doesn’t require other genetic engineering technologies that are already at our disposal. What it does rely on is data provided by the completed genome sequence of aurochs made in 2014 from a 6,700-year-old humerus bone in a cave in the U.K. This makes it possible to check just how close the DNA of the calves in both projects are to the original sequence. Of course, it will naturally take time. “We think in six, seven generations we will get a stabilized group of Taurus cattle. That will take us another seven to 10 years,” Goderie said. All we need now is to make sure they won’t get extinct again.